Wedding Columns are used in so many ways: Isles, Arches, Arbors, Altars, Gazebos, Backdrops, Pergolas, Balustrades, Tables, Floral stands, Picture and Floral displays. The light weight plastic makes them light and durable, with the versatility of no other column. Wedding columns can transform any ordinary venue into an elegant setting for your event. At Column Designs, our line of wedding columns and wedding props will help to make your very special day a truly memorable event! These beautiful display columns will add so much to the lovely occasion. 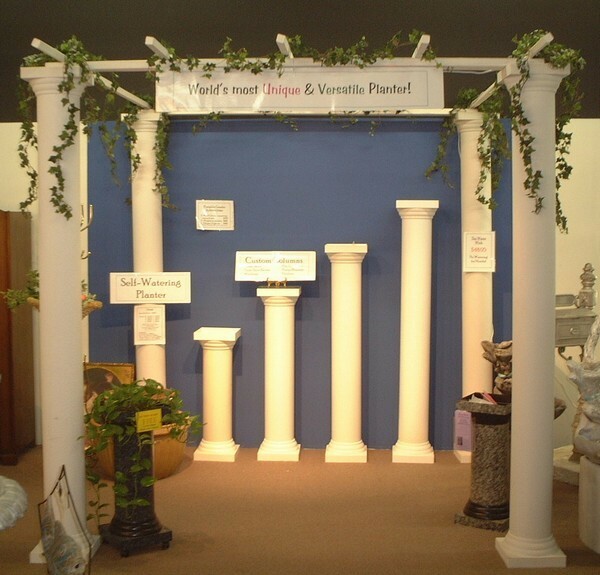 Check out all of our Wedding Columns, Decorative Columns, Plastic Columns, and Display Columns too!